1. Dump your coffee into a large nonreactive container (I used a large stainless steel stockpot). Add a little water and stir to coat make sure all of the coffee grounds are moistened with water. Add the remaining water and give it all a good stir. Cover your container and let it sit at room temperature anywhere from 12-24 hours (I went the full 24). 2. Line a fine mesh strainer with a double layer of cheesecloth and slowly pour the coffee mixture through the strainer to remove the grounds. Store the coffee concentrate in the refrigerator. 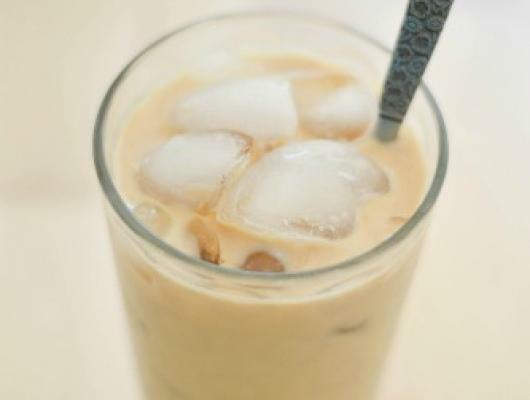 To make an iced coffee: Fill a glass with ice, pour in the coffee concentrate until the glass is about half full, Fill the rest of the way with milk of choice, add sweetener to taste if desired. 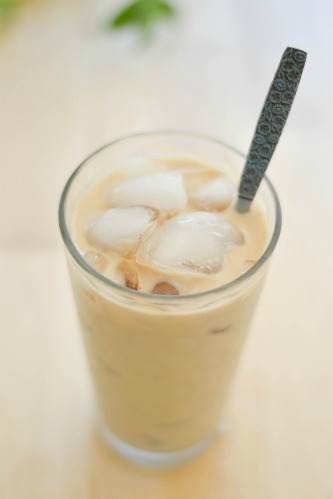 Forget about the coffee pot and go easy on yourself by preparing a batch of this cold brew coffee concentrate. You'll have coffee on hand that's ready to go when you are.